Two words for season three: roller coaster. This season was filled with some serious up’s and down’s. There were two episodes that made me extremely upset, to the point where I almost wanted to give up on it all, and yet by sticking through it there was a pretty decent pay-off. The pay-off at the end of this season wasn’t quite as stellar as, let’s say, Babylon 5’s season three, but it did help me realize that the writers really did know what they were doing. Basically, it would be impossible to talk specifics about the story line of season three and not give anything away, so I’ll touch lightly on a few episodes and characters I enjoyed this season. As far as new (or fairly new) faces go, I really enjoyed Henry the cab driver and Lincoln Lee. Henry initially appears in the first episode of the season, “Olivia.” And though he’s a major part of the episode, it’s easy to assume he won’t be seen again. But thankfully, we do! And it’s amazing how such a small character role can have such a good character arc. 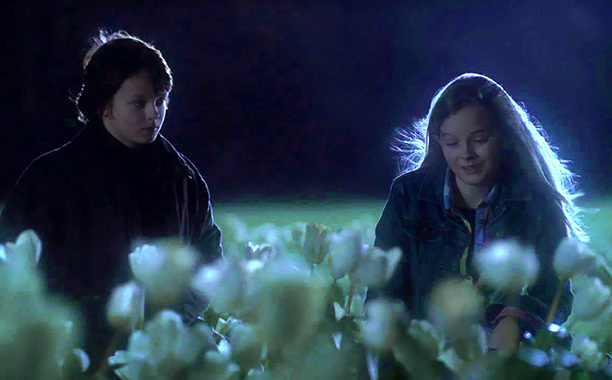 In the few episodes we see Henry, we see his compassion, how his concern towards Olivia grows, and he discovers things about the world that not everyone knows, even if he doesn’t know all the details. He might be just a cab driver to most passerbyers, but we as the audience get to learn about him as a person, and he’s pretty awesome. 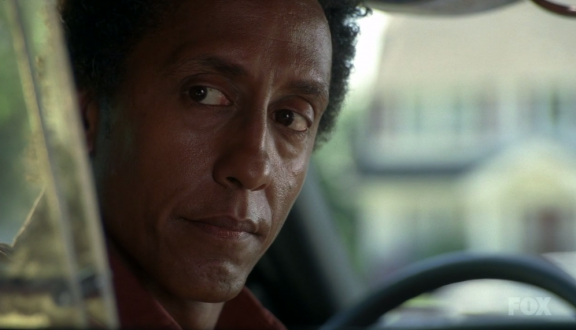 We are introduced to Lincoln Lee at the end of season two, and he seems like a decent guy, but that was pretty much all I thought of him for a while. 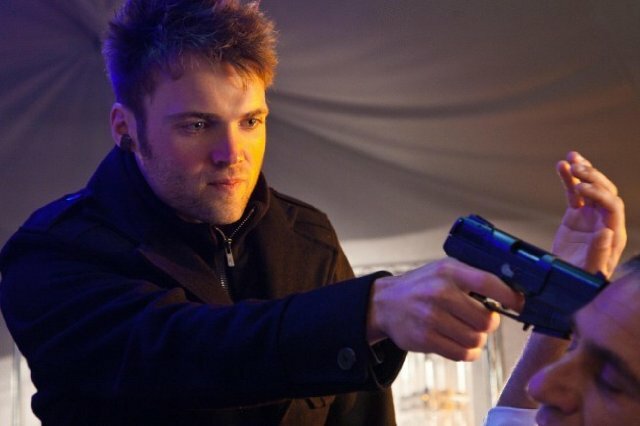 But then the episodes “Stowaway” and “Bloodline” made me really start to love him as a character. Spoiler in white (highlight to see): Stowaway introducing our side’s Lincoln Lee was definitely huge for me. I just loved how different he was from the other side’s Lincoln Lee, and yet saw the similarities as well. I really loved that ours was so straight-laced though, and how he interacted with Peter. And then in Bloodline, when we went back to the other side’s Lincoln Lee, I saw how great he was too; how compassionate and loving he was underneath that tough exterior. The first half of the second season deals with the story that left off in the season two finale, and the second half of the seasons deals with the consequences within the interpersonal relationships of the characters. “Entrada” was a favorite of mine as it seemed to resolve so much, only for some of it to somewhat unravel on me again! “The Firefly” was a fascinating look at repercussions caused from the decisions we make in life. We got more background in the characters’ lives with another flashback episode reminiscent of “Peter,” with “Subject 13.” I found “Bloodline” strangely moving for someone who was not a fan of “Immortality” for… uh… reasons (hopefully this will make sense for those who have seen the season; I’m just trying to stay vague!). “Lysergic Acid Diethylamide” was not a favorite but it was an out-of-the-box sort of episode that ended with an interesting twist that I’m still waiting for more answers on at the start of season four. And same with the last three episodes of the season, which felt like one arc that launched us into season four with some half-answers that left me still wanting more! And while it was a good, solid pay-off, I still cannot help but forget some of the frustrations of the season. While this season is clearly better than the second in many ways, it also angered me more. Perhaps this could be seen as a testament of the writers’ amazing ability to get under my skin and give me ALL THE FEELS (not to mention the amazing acting done by everyone on the cast), but I have decided to dock it half a star and go with a 4.5 star rating, the same as last season. I’m only two episodes into Season Four and basically nothing has been resolved, so I’m really anxious to see how it all turns out. I’m also becoming more and more glad I can watch these episodes back to back and without hiatuses! 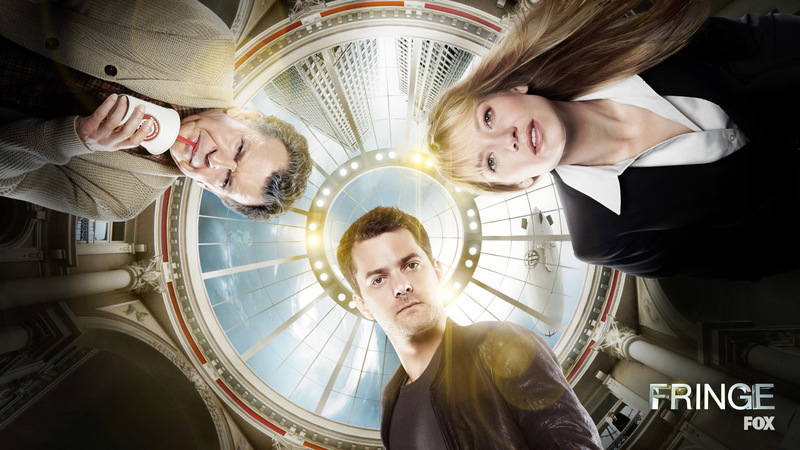 If you’ve seen season three of Fringe, tell me your thoughts! Did you have as much of a love/hate relationship with it as I did? This entry was posted in Reviews, TV and tagged fringe, jj abrams, TV. Bookmark the permalink. “Roller coaster” is a great way to describe S3! It’s my favorite because I love the overall arc of the season, and what it accomplishes in “Bloodline” (making me feel for that group of characters) still astonishes me. There are so many strong episodes in this season (all the ones you mentioned are favorites of mine), but one that to this day still stands out to me is “Marionette,” so dark yet so moving. The interpersonal relationship stuff in “Marionette” was great. But the “villain” really creeped me out. It was certainly a powerful episode though, regardless of how one feels about it. As far as “Immortality” goes, I had forgotten the name of the episode and did have to look it up on IMDB… The one that upset me before, for a related reason, was “Do Shapeshifters Dream of Electrical Sheep?”, but of course that episode name is so unique it burned onto my brain. “Snakehead” did seem like a step backward at that point in the season, but thankfully it got better after that. Anyway, whoa, those are some intense pictures. I'm guessing that Fringe is a crime show, something like CSI, only a bit more dramatic? So I'm glad that Season 3 lived up to your expectations! Of the little TV shows I've watched, I've noticed that as the seasons go by, the episodes get less and less fun to watch. Like Glee. I used to watch it without skipping an episode, but now… I hardly even turn on the TV anymore. TV shows are kind of like books, in that way. I hope that Season 4 is just as good or even better for you, Amy! Sorry I’m just now responding… I didn’t see your full comment before and missed your questions! Yes, J.J. Abrams was like the main producer of the show… I don’t think he did much after the first season, but it was his idea and everything. 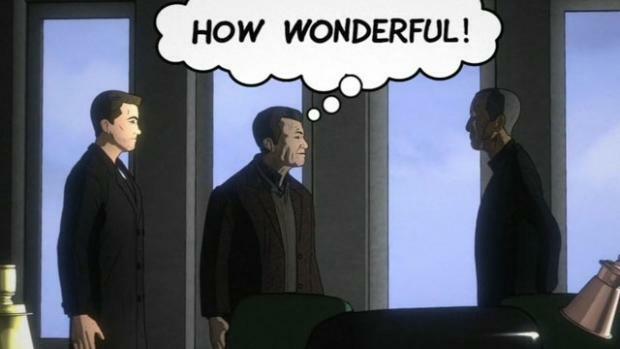 Fringe is like a sci-fi version of CSI, I guess you could say that to simplify it. It’s gotten a lot of comparisons to X-Files and Alias. The main character is an FBI agent who gets put on a case which relates to a “fringe science,” so she ends up recruiting a scientist who specializes in that sort of thing, but to get him out of the mental institution he has been in for years, she has to also recruit his son. The three of them end up becoming a team and then over time, really more like a family. It’s a great character show but with many interesting, sci-fi elements to it! I’ve also reviewed the first two seasons, so you can do a search for “Fringe” within the blog if you’re interested in checking those reviews out! Great summary of season 3! I watched it when it originally aired on TV, so I’m not sure I remember exactly how I felt about it, but I think it might have been my favorite season (I loved Lincoln, too). Season 4 was the season that made me want to give up a couple times…I’ll be really interested to hear what you think of that one! Yay Lincoln! Definitely stay tuned for the season four review in probably a month or two… now I’m curious too! Nice review. I think this season and last season were the show at it’s peak. “Marionette” was a good but creepy episode to me as well. I liked the cab driver from the alternate universe as well. I was actually hoping we would see his double on the other side but either we don’t or I missed it. Lincoln Lee (both versions) was a pretty nice addition. So, what did you think of Olivia’s impersonation of… “That guy” for those episodes? It kinda got a little grating to me. I was hoping to see “our” Henry as well! Especially when Peter jumped into that cab to go to New York! I thought she did as well as she could have, but it did get a bit old.